Oui oui oui... another FUN table in Paris... PARFAIT for Thursday Tablescapes, non? Do YOU have a photo of YOUR table in Paris or a photo of a table YOU wish was YOURS in Paris? That table is so inviting, such goodies and what a view. Another gorgeous one - I could just eat one of those macaroons! 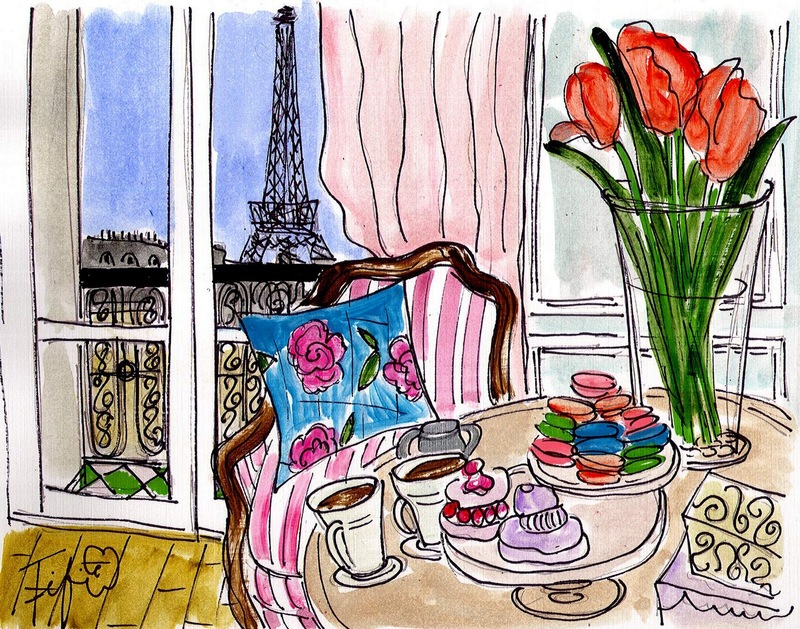 So evocative - I can imagine myself in this salon savouring every mouth full of a macaroon and wishing I could eat another!